For enthusiasts and experts in stamp collection and investments, the art of collecting and sharing one’s prized collection will not just bring knowledge, excitement and even cash. There are some instances when problems and issues will also arise, including one’ failure to extend appropriate stamp care and attention. There will always be stories about damages and tear on the material, using inappropriate glue and attaching the stamps on poor quality materials, and even allowing the stamps to linger in poorly cleaned and maintained areas. All these are not recommended if you want to take stamp studies and collection seriously. If you really want to invest in this highly personal hobby, you’ll need to remember a few maintenance and storage suggestions. Speaking of handling with care, in philately it means using tongs or other similar objects when handling stamps in collection. By using tongs, you can avoid the accumulation of dirt, sweat and other unwanted things in your precious stamps. It takes a lot of practice before you can become more confident in using tongs for stamps, and there will be times when you’ll damage the material if you are not careful. Just to be sure, you can first start the use of tongs in cheap and common stamps in collection. Never attempt to handle the stamps with sharp objects as these may damage or tear the stamps. Investing in stamp mount is a great step when it comes to protecting your own collection. Some of the popular brands for this item include Prinz and Hawid which you can use to handle and showcase your best items. But here’s one critical thing to remember when it comes to mount stamp use- don’t include mounted stamp in your album. Mounts should be emptied first and dried before attempting to place stamps on mount. Also, try not to use hinges with stamps. Cheaper stamps can be directly placed and attached to the stock books, but if you are talking about valuable and even rare stamps, it’s would be best to use mounts before placing the mounted stamps on your preferred stock book. Some say that maintaining this hobby can be quite expensive, but there are certain aspects on stamp collecting that can be maximized including the choice of albums and stock books. Don’t scrimp on the quality of albums and stock books if you want to show off your stamp choices. The albums should be arranged just like your prized collection of books on display in a case. The albums and stock books should be placed in an area where there are no wild fluctuations in temperature and with manageable humidity. This means you need to stay out from your home’s garage, the attic and even the basement. Extreme humidity is a problem for your stamps. 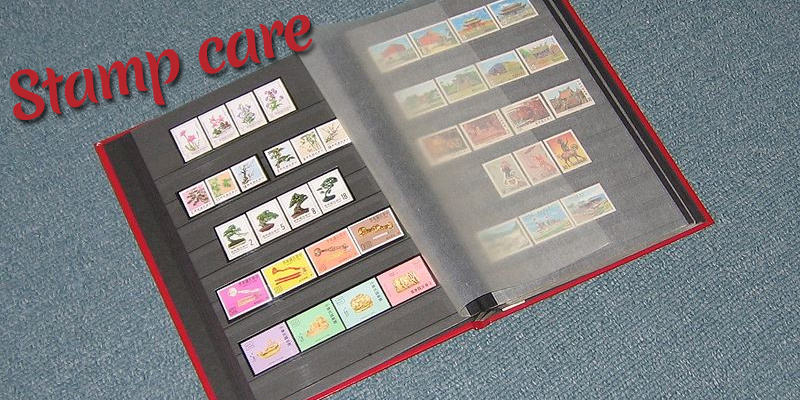 A stamp collection is a valuable addition to your investments, provided you extend appropriate care and work.